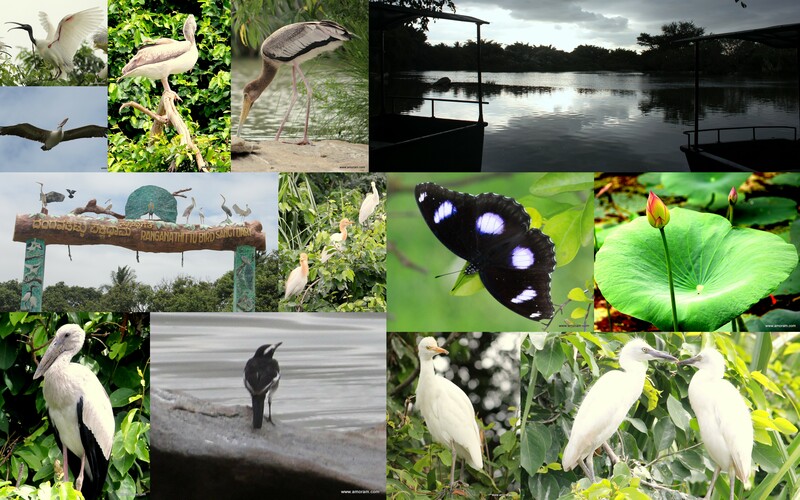 If you love bird watching, photography and a looking for river side trail walk then Ranganathittu bird sanctuary (approx. 120 KM Bengaluru) is a perfect day trip destination. Ranganathittu is a famous bird sanctuary in Karnataka state of India and is bub of avian activities. It is a paradise for bird watchers and birds macro photography lovers. Spread across 40 acres, it comprises of six islets on the bank of Caveri River and is home to some of the most exotic birds. Ranganthittu is located three kilometers away from the historic town of Srirangapatna and 16 KMs north of Mysore. The Bird sanctuary came into existence as a result of dam built by the then Mysore King, Kantirava Narasimharaja Wadeyar in 1648 that created the islets – a fertile place for birds and rich flora. Renowned ornithologist Dr. Salim Ali observed that the isles formed an important nesting ground for birds, and persuaded the Wodeyar kings of Mysore to declare the area a wildlife sanctuary in 1940. The sanctuary is home to a wide species of birds and over 170 species of birds can be sighted around the year. Its an idle breeding ground for variety of birds such as Painted Stork, Asian Openbill Stork, Common Spoonbill, Woolly-necked Stork, Black-headed Ibis, Lesser Whistling Duck, Indian Shag, Stork-billed Kingfisher, egrets, cormorants, Oriental Darter, herons cormorants, darters, white ibis, spoon billed storks, open billed storks, painted storks, white necked storks, egrets, herons, terns, swallows, kingfishers, sandpiper etc. Also there is wondrful and sceneic walking trail along kavery river on oneside and lush green paddy &ugercane fields on one side. This is the route course for famous Kaveri Trail Marathon (KTM). It takes ~ 3 hours from Bangalore to Ranganathittu located on Mysore higway and plenty of buses and trains options avialable. So do not plan, just get out for a wonderful and rfereshing day trip. There areplenty of budget hotels avaialbl on the higway. If you love forts, palaces and historical monuments then take a tour or walk in the historic city of Srirangapattana (Capital of Tipu Sultan dynasty in 18th Century).